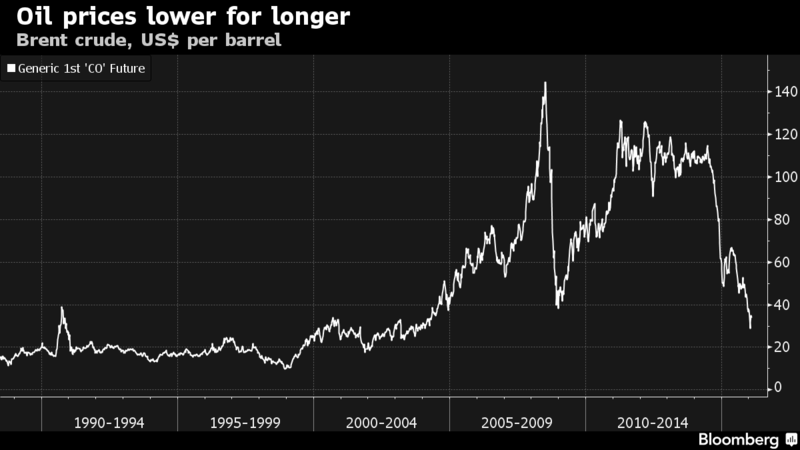 Scooper - Technology News: Will oil prices stay this low for the next decade? Will oil prices stay this low for the next decade? With dramatically reduced oil prices impacting economies around the world, the question is how long prices will stay down. The world’s largest independent energy trading house thinks the answer could be at least until 2026. "It’s hard to see a dramatic price increase,” says Vitol Group BV CEO Ian Taylor , adding oil may not yet have reached its lowpoint. The CEO predicts a midpoint of around $50 a barrel for the next 5-10 years and believes China’s slowing growth and the US shale oil industry are key factors depressing prices. If the forecast is right it would mean the longest stretch of low prices since 1986-1999 when crude typically traded between $10 and $20 a barrel. Vitol trades more than five million barrels a day of crude and refined products and its views are closely followed in the oil industry. Mr Taylor said the price of oil may never fully recover, "You have to believe that there is a possibility that you will not necessarily go back above $100, ever." The problem, he says, is a growth in global supply while both increasing efficiency and slowing growth in emerging markets mean less oil is needed. The following chart shows how supply has increased sharply as oil prices plummet. 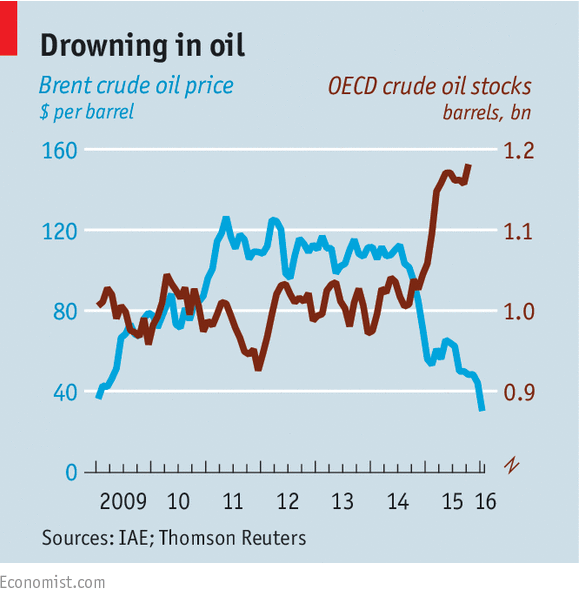 How is cheaper oil affecting global stability?